There are currently no Cookeville notable alumni listed. Be the first to add an CHS famous alumni. Create a Cookeville High School memorial for an individual alum that has passed away. There are currently no memorials for Cookeville alumni. Even if alumni from Cookeville High School have moved away from Cookeville, Tennessee, they can use this site to find and contact high school friends. You can also find out what other graduates are doing now, share memories with other alumn, upload pictures from Cookeville High and find other alumni. 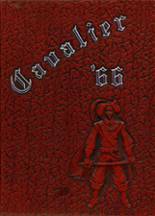 If you are an alumn of Cookeville you should register now in the alumni directory. We also encourage you to interact with the rest of the alumni on this site. You can find old friends, share photos and stay updated on the latest school news. Stephanie Barkley has someone searching for them. Michael Anderson has someone searching for them. April Banker has someone searching for them. Vicki Marshall has someone searching for them. Ricky Mayberry registered as a CHS Class of 2004 alumni. Ricky Mayberry updated his profile picture. Ricky Mayberry added photos to their personal photo gallery. Michael Amy Davis registered as a CHS alumni. Michael Amy Davis added photos to their personal photo gallery. Michael Amy Davis updated his profile picture. Jessica McDaniel registered as a CHS Class of 2004 alumni. Jessica McDaniel added photos to their personal photo gallery. Jessica McDaniel updated her profile picture. Matthew Mann added photos to their personal photo gallery. Matthew Mann registered as a CHS Class of 1986 alumni. Shawn Marston added photos to their personal photo gallery. 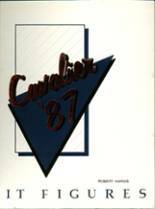 Shawn Marston requested a CHS yearbook from 1984. Rhonda Harp registered as a CHS Class of 1996 alumni. Rhonda Harp updated her profile picture. Rhonda Harp added photos to their personal photo gallery.